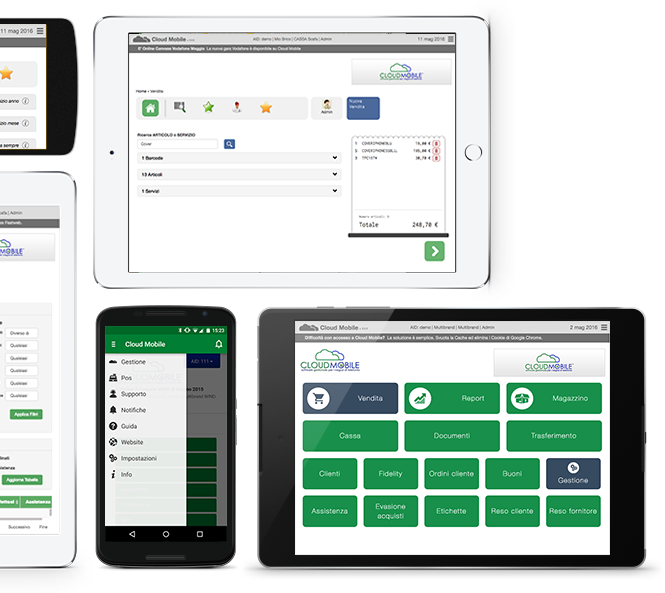 Cloud Mobile POS interface is studied to make your sales easy and quick. 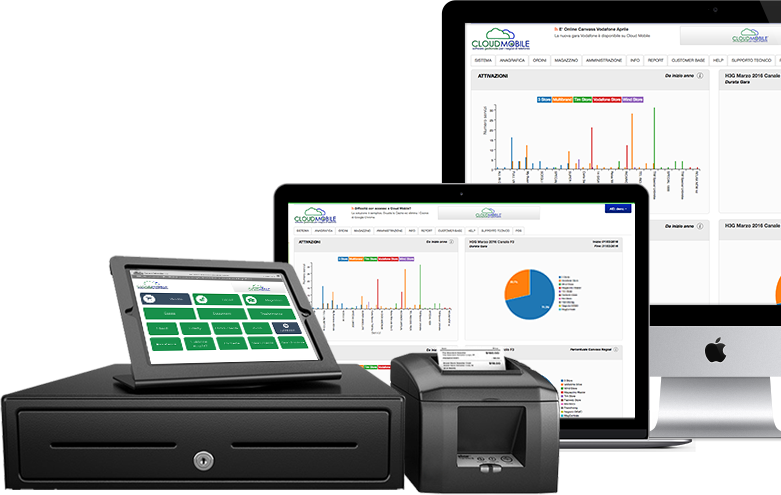 It enables you to manage the warehouse and the cash register from pc, tablet or smartphone. Everything perfectly connected to your printer. Owners, store managers or accountants will be able to monitor margins, accounting, state of progress and rewards of the store chain in real time. 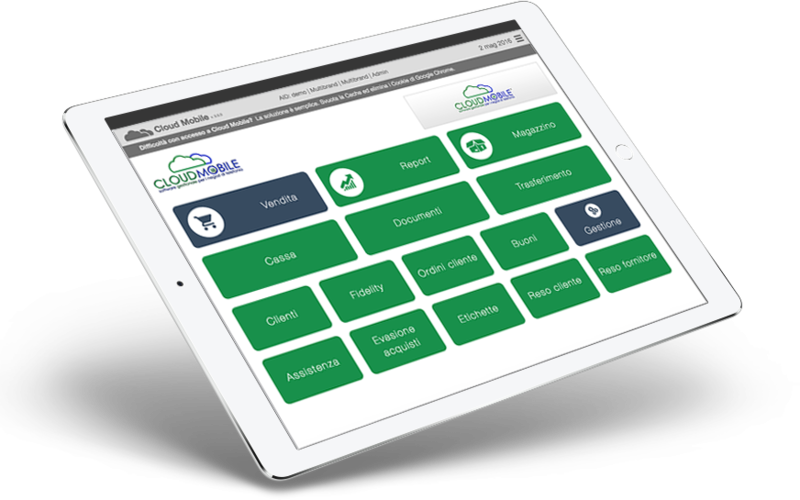 Use Cloud Mobile without limits and with the same features inside or outside the store. Available for desktop (Pc or Mac), but also for mobile devices (tablet, smartphone). * All trademarks used in this website are property of their respective owners; third-party brands, product names, trade names, corporate and company names referenced herein may be the property of their respective owners or registered trademarks of other companies and have been used for explanatory purposes only and for the benefit of the owner/s, without any intent to infringe copyright laws. 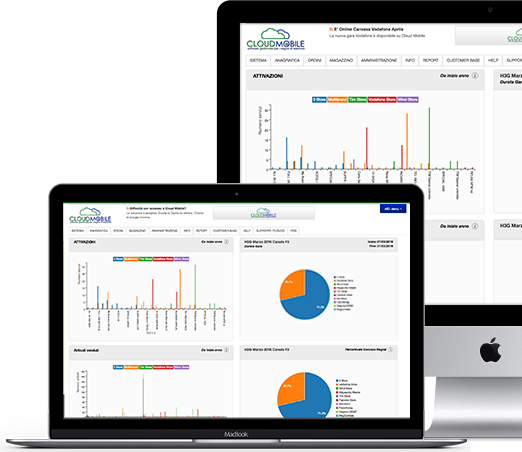 Namely, trademarks and logos of telecommunication companies are listed with the sole purpose of showing the data that can be managed through Cloud Mobile in different types of phone stores. Trademarks and logos are not used for commercial purposes, but only to describe the services offered. Cloud Mobile has no direct dealings with the telecommunication companies mentioned, therefore, the purchase of Cloud Mobile service is not guarantee of any partnership for the customers. The proper use of the services related to the telecommunication companies included in Cloud Mobile is dependent on a business agreement previously stipulated between the customer and one or more telecommunication companies.